While Apple, Samsung, and Google race against each other in finding the mobile payments solutions for the future, LG has a different plan altogether, it appears. The South Korean technology conglomerate, as per a report, is working on fixing the current payments system with something called the White Card. LG is working on a universal credit card dubbed White Card, reports ETNews. The card in question, which has ‘LG Pay’ printed on it, will enable you to feed information of all your credit cards, making your payment experience require less fuzzing around. LG could launch it at its Mobile World Congressevent later this month. The report adds that LG’s supposed universal credit card will have a low-power display – which will keep a user informed about the status of different cards, and a button to allow them to select a card. What separates LG’s supposed take on the payments system from others is that it doesn’t revolve around a person’s smartphone. Apple Pay, Android Pay, and Samsung Pay allow users to make purchases using their phone as the identity factor. While LG’s solution sounds interesting, it already seems like an outdated take on the matter. 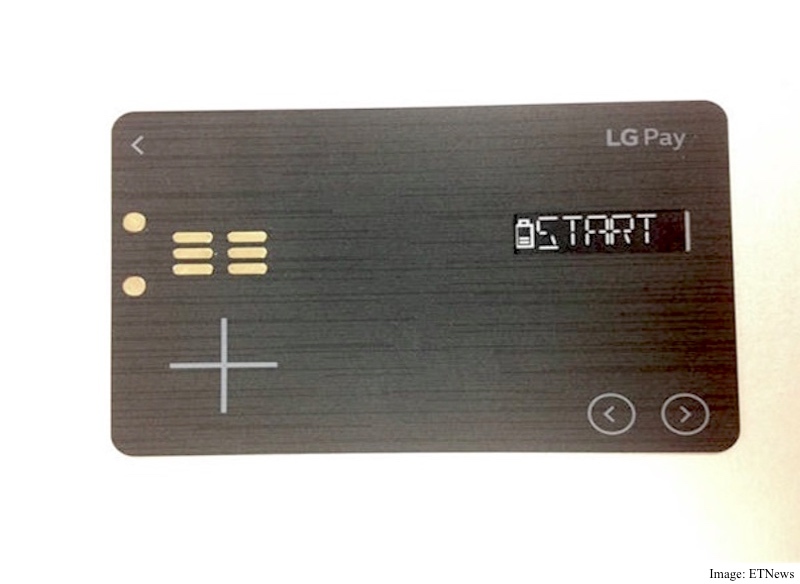 The image shows that the card also has a battery bar and a connector on the left side, hinting that the LG Pay White Card houses a battery of sorts and need to be charged. LG might have a tough time selling that requirement to people. Also, the report adds that this card won’t work with new chip readers, which is another major shortcoming. Again, information about the White Card is a bit blurry at the moment, and there could be a perfect explanation for all the aforementioned shortcomings. We will have to wait to hear from LG before reaching to any conclusion.